Jeff Bezos, Elon Musk and Paul Allen are harnessing local tech talent to slash the cost of getting to space. Once that happens, they see limitless possibilities. In the booming commercial space business, ventures founded by tech billionaires Jeff Bezos, Elon Musk and Paul Allen are reinventing the most expensive aspect — launching spacecraft into orbit. All three are intent on tapping this region’s aerospace and software talent, and all three speak in visionary terms. In April, Blue Origin successfully tested its New Shepard rocket. It’s also partnering with Boeing and Lockheed to design American rocket engines that will replace the current Russian engines on government launches. Bezos has gathered a 350-strong engineering team at Blue Origin headquarters in Kent. Serial entrepreneur Musk, who made his fortune as a co-founder of PayPal and reinvented the car at Tesla Motors, formed SpaceX to pursue his ambition to colonize Mars. Already he has aggressively muscled his way into the heavy rocket market formerly dominated by Boeing and Lockheed Martin. And SpaceX has just opened an office in Redmond where a team expected to grow to hundreds of engineers will design an ambitious satellite constellation. From offices overlooking the stadium where Allen’s Seahawks play, Vulcan is developing a launch concept quite different from the Blue Origin and SpaceX rockets. Later this year, it plans to roll out from a hangar in the California desert the biggest airplane ever built, designed to carry a rocket under its wing and shoot it into space from 30,000 feet. The premise for all three companies is that launch vehicles must be reusable so getting to space becomes dramatically cheaper. That could revolutionize the sector by encouraging startups to develop new space-based applications. Rob Meyerson, who in the 1990s worked at Kistler Aerospace — the Kirkland-based reusable-rocket pioneer that went bankrupt after the dot-com bubble killed off its satellite-maker customers — is now president of Bezos’ Blue Origin. Though the company has been very secretive and still won’t permit press visits to its Kent facility, Meyerson opened up about some details in an email interview. He said the company has about 400 employees, including “more than 350 and growing” at its engineering, manufacturing and business headquarters in a 260,000-square-foot facility on 26 acres. 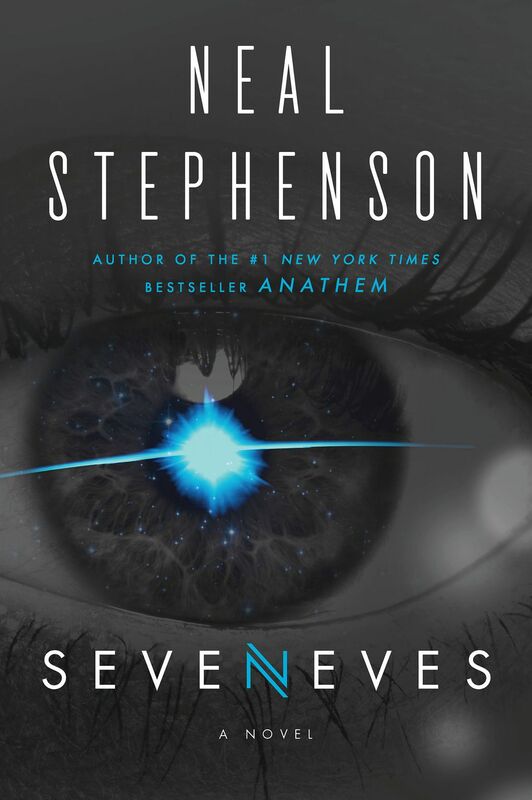 Local author Neal Stephenson, who worked at Blue Origin, has released a new book called “Seveneves,” about the battle between NASA and private space companies. “We’re proud to call Washington our home base,” Meyerson said. The rest of the employees are at Blue Origin’s remote launch site in West Texas. 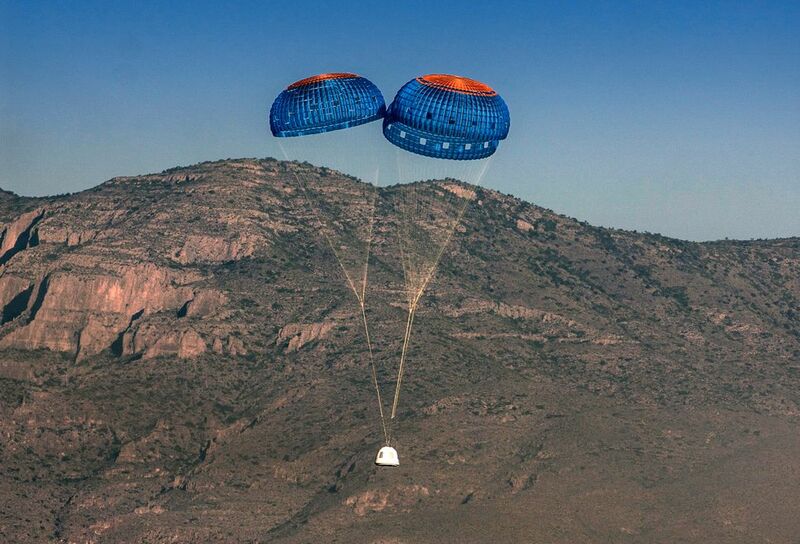 In April the company launched the first developmental flight of its New Shepard vehicle, blasting an empty crew capsule capable of holding six people to a test altitude of 58 miles then returning it safely to Earth by parachute. That rocket will be powered by a new Blue Origin engine fueled by a combination of liquid oxygen and liquefied natural gas. In a coup for Bezos, United Launch Alliance, the Boeing/Lockheed space-rocket joint venture, has earmarked that BE4 engine to replace the current Russian engines on its future heavy rocket. Starting in 2010, Blue Origin received almost $26 million from NASA for work on the agency’s space-taxi concept, a project to replace the space shuttle with a vehicle to carry astronauts to and from the International Space Station. Since 2013, Blue Origin has been privately funded, though collaboration with NASA continues. Asked about Blue Origin’s ambitions, Meyerson said space tourism is one nearer-term goal. “Offering the adventure of spaceflight to a new generation of explorers and adventurers is certainly something we’re looking forward to,” he wrote. Caceres said Blue Origin has made quiet but impressive progress. 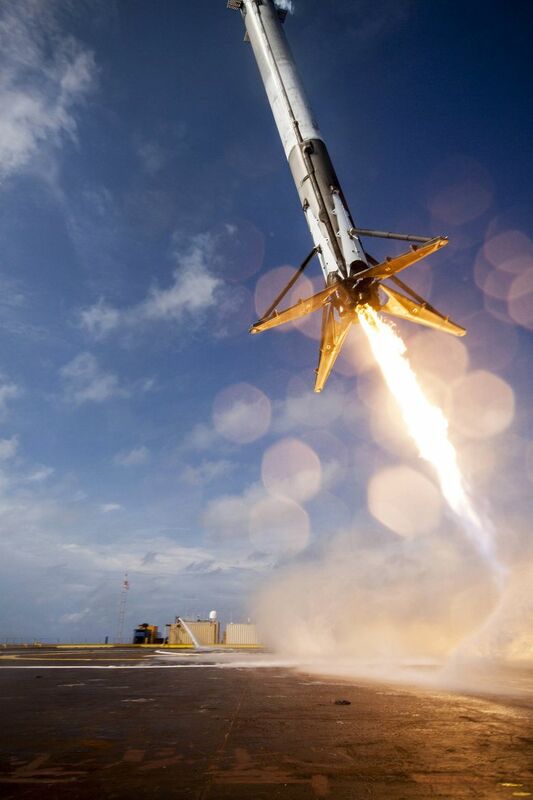 Founded in 2002, SpaceX has already slashed the cost of space access. Caceres said the launch of a Boeing Delta IV Heavy rocket to launch a big military satellite costs $350 million or more. A Lockheed Atlas V launch for smaller payloads costs at least $150 million. SpaceX, by contrast, lists its Falcon 9 rocket launches at about $70 million, he said. After Musk dropped a lawsuit attempting to force the issue, the Air Force last week granted SpaceX certification for national-security missions — ending the monopoly on military launch contracts long held by the Boeing/Lockheed joint venture. Having disrupted the launch business, the ever-moving Musk is now progressing to satellites. He has talked about initially hiring about 60 engineers for the new Redmond office and potentially growing that base to as many as 1,000 within five years. Musk plans a constellation of more than 4,000 low Earth-orbit satellites that will provide planet-wide broadband Internet access. If the project progresses to the manufacturing stage, it’s likely he’ll look for state incentives to locate a factory to build the satellites — just as he did in choosing to manufacture the lithium-ion batteries for his Tesla cars in Nevada. Still, the engineering work alone is a huge boost for Washington. Alex Pietsch, who heads Gov. Jay Inslee’s office of aerospace, said state officials are “excited at the chance to further diversify the aerospace industry” here. Vulcan Aerospace’s concept is to launch space rockets into orbit from 30,000 feet up. The idea is to make launches more routine, substituting an airport for a launchpad and costing only as much as “the jet fuel to fly two 747s from Sea-Tac to LAX,” according to Beames. Vulcan’s giant carrier plane, now taking shape inside a hangar in Mojave, Calif., is called Stratolaunch. The main structure features twin fuselages — each roughly the size of a 747 jumbo jet. A huge wing stretches across the top — the wingspan of 385 feet is the length of the Seahawks’ home field, including the end zones. The payload-carrying booster rocket will be slung under that wing, between the two fuselages. The jet’s airframe is largely carbon-fiber composite plastic. Janicki Industries of Sedro-Woolley — which has expertise in fabricating large, one-off composite structures — had more than 150 people working on providing large pieces of it, Vulcan confirmed. Stratolaunch’s engines, avionics, cockpit and landing gear have been cannibalized from a pair of used 747s. That provenance highlights the challenges ahead; even test flights of new conventional airliners from Airbus or Boeing usually throw up unwelcome surprises, like the wing-flutter problems that caused unacceptable vibration in early flights of Boeing’s 747-8. 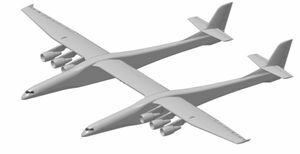 With the Stratolaunch’s novel shape, Vulcan will almost certainly run into such hard-to-predict issues once the plane flies. Despite that, Vulcan has used Boeing engineers only as consultants, reflecting a typical tech-industry bias against established players. 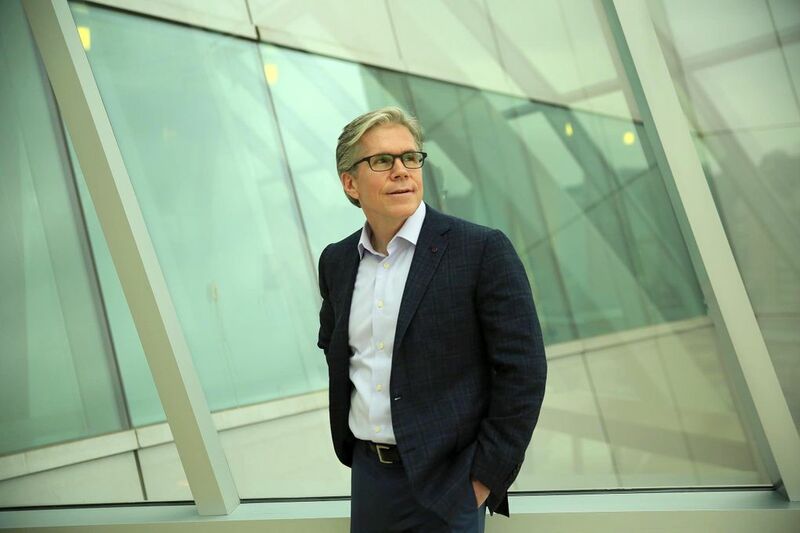 “Candidly, I specifically recruit engineers who are not typically cut from the traditional cloth but are more entrepreneurial and less big-company-oriented,” said Beames. That spirit of pioneering innovation comes with risks. Richard Branson’s Virgin Galactic suborbital-space-tourism project is based on a precursor to the Stratolaunch concept and operates the technology under license from Vulcan. The deadly in-flight breakup last October of Virgin’s SpaceShipTwo rocket plane — which killed one of the two pilots on board — served as “a cold, hard reminder that this can be a dangerous business,” Beames said. Unlike Blue Origin and SpaceX, privately funded Vulcan hasn’t received any government contracts. Its strategy has already undergone several changes, and right now what will be strapped under that huge wing is not clear. Originally, SpaceX was to provide the booster rocket; Vulcan then switched to relying on rocket-maker Orbital ATK. As recently as last fall, Beames spoke about a plan to put a human-crewed spacecraft developed by Sierra Nevada on the tip of the Orbital booster rocket. But now that human spaceflight plan is shelved, along with Orbital’s planned rocket. This shift won’t affect the timetable for flying the carrier plane, he said, but it could mean “maybe a little delay” in the plans to use it to launch spacecraft into orbit. Launching a manned spacecraft will be even further out, “in 10 years,” he said. Meanwhile, said Beames, Vulcan has decided to diversify beyond the Stratolaunch project by investing in other space companies. It put money into Seattle-based Spaceflight this spring and is actively searching for more candidates. Though in 2011 Vulcan had said its space unit headquarters would be in Huntsville, Ala., Beames said it’s now firmly established here.